Know someone who might like Migratory Notes? Please help us spread the word: Here’s the subscribe form and here’s an archive on Medium. Got a story or an immigration-related resource or opportunity we should know about? Send it on! The New York Times also reports on efforts to reunite families in the face of the administration’s lackluster efforts, and on families in agony waiting to find out when they’ll see their children again. More than a month after a court deadline passed to reunite families, nearly 500 children still remain separated from their parents and in immigration custody, reports The Washington Post. 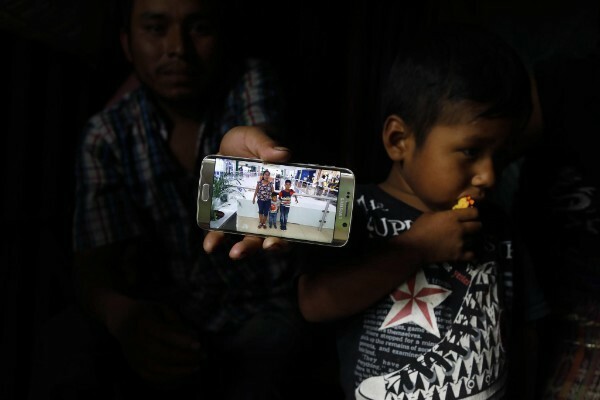 Some of those children migrated with guardians and not their parents, a narrow definition of ‘family’ being used by the Trump administration, reports Rewire. As the school year starts, about 40 children separated from their families can’t be enrolled in school, reports Politico. That’s because they are in temporary foster care. Reports of sexual abuse of migrant children in detention are continuing to trickle out, reports the AP. El Salvador is offering legal representation to families of three minors who told Salvadoran officials they were abused at a shelter in Arizona. Around 8,000 Vietnamese green card holders who have committed legal infractions are being targeted for deportation under the Trump administration, reports The Washington Post. Under the suggestion of Stephen Miller, ICE is reinterpreting a 2008 agreement with Vietnam making a group of people who fled the country’s Communist takeover in the 1970s deportable. To prepare for possible deportation, some Mexican citizens are having their American family members apply for dual citizenship, reports The Dallas Morning News. The Mexican consulate in Dallas has seen a sharp growth in applications — from 977 in 2016, to nearly 2,500 in 2017, and now 2,699 from January 1st to August 31st. Military officials are concerned that the drop in admittance for Iraqi refugees who helped U.S. troops overseas will hurt efforts to gain the cooperation of the local population in conflict zones, reports Reuters. As of August 15th, only 48 Iraqis had entered the U.S. this fiscal year on a special refugee program for people who helped American forces. Last year, 3,000 were admitted under the program. A 5-year-old girl nearly died of a ruptured appendix while in a short-term detention center in McAllen, Texas — a health issue that is treatable but can be fatal if unrecognized, reports The Intercept. It was the same detention center where a Honduran man died from an undiagnosed, life-threatening illness. A Mexican journalist who has twice been detained by ICE after requesting asylum writes a first-person account for the Columbia Journalism Review of his physical and mental anguish while in detention. “I need to spell out some of my recent experiences, so that others will not go through these extremely degrading hardships in a foreign place where universal liberties are proclaimed and then inhumanely denied to those who would seek protection,” writes Emilio Gutiérrez Soto. Basements, offices and hotels across the country won’t appear on any list of ICE holding facilities, but they are all places where detained immigrants spend time while being moved to other locations, reports The Texas Tribune. Prisoners across the country went on strike last week, including some in immigration detention, reports ThinkProgress. That means refusing to work or eat to push for 10 demands, including getting paid minimum wage for any work done while detained and for better rehabilitative services. African immigrants in the U.S. often face a double threat — from stepped up immigration enforcement and the targeted policing that takes place in African-American neighborhoods. In a feature story for Popula, Ashoka Mukpo looks at New York’s West African community and the shock facing green card holders who have been deported. A federal judge in Texas did not end DACA on Friday as expected, creating an opening for some recipients of the program to request renewals, reports Voice of America. Among District Judge Andrew Hanen’s responses was that if the states that are suing to end DACA were so harmed by the program, they should have sued to end it years earlier. “DACA is a popular program and one that Congress should consider saving,” he said. The U.S.-Mexico trade deal conspicuously leaves out the issue of immigrant labor and, in doing so, ensures that small businesses will continue to suffer from a lack of employees, reports The Guardian. Meanwhile, Trump’s efforts to curb foreign hires is hurting the bottom line and business owners complaints are getting louder, reports The New York Times. Since the 1940s, Indian immigrants have worked in the hospitality industry. Today, half of all U.S. motels are run as Indian family businesses by children and grandchildren, reports National Geographic. The former spokesman for the Federation for American Immigration Reform filed a discrimination complaint with the Office of Human Rights alleging he dealt with racial slurs and harassment from FAIR’s management, reports the Los Angeles Times. An army director hired as deputy director at USCIS was fired for making anti-Muslim comments on Facebook, reports Buzzfeed. Cascade Public Media in Seattle is hiring a race/immigration producer. Freedom for Immigrants is hiring for several California-based positions, including development director and immigration bond fund coordinator. ProBar Immigrant Children’s Assistance Project is hiring various positions: a legal director, and staff attorney. Immigrant Justice Corps is hiring for several attorneys and a social worker. Define American is hiring a communications manager. Vanishing Frontiers: the Forces Driving Mexico and the United States Together by Andrew Selee explores the two countries intertwined histories. From Here and There: Diaspora Policies, Integration, and Social Rights Beyond Borders, by Alexandra Délano Alonso, is the first book-length guide about consular services. Undocumented Lives: The Untold Story of Mexican Migration, about the Mexican government’s support for migration. PRI profiled the book’s author. The Making of a Dream: How a group of young undocumented immigrants helped change what it means to be American by Laura Wides-Muñoz covers the growth of the Dreamer movement. The Global Nation newsletter and Facebook group from PRI’s The World. Refugees Deeply: a thrice-weekly newsletter on migration and displacement. Migration Information Source from the Migration Policy Institute offers a series of newsletters. Documented NY’s Early Arrival newsletter aggregates information on immigration in New York City. The Marshall Project newsletter: criminal justice news that regularly intersects with immigration. Politico’s Morning Shift newsletter: a daily read on employment and immigration. Give Me Your Tired, an (Im)migration Newsletter offers a weekly update on global migration. Radio Public curates a list of podcasts about immigration and migration. A is for America America’s Voice discusses immigrant politics and organizing. Only in America: National Immigration Forum’s podcast about the people behind immigration issues. Moving Stories is an app and curriculum to capture and share immigrant stories. Imm-print publishes an Immigration Detention Syllabus. Immigration Data Resources: An extensive, and growing, list of immigration resources curated by PRI’s Angilee Shah and shared as part of her presentation on finding immigration stories at NICAR 2018. If there’s a story or immigration-related opportunity you think we should consider, please send us an email. At a time of rapidly shifting policies, we synthesize exceptional immigration journalism.